Asian American and Pacific Islander women and girls face unique obstacles as they operate in a social sphere shrouded in silence and stigma about HIV and IPV. 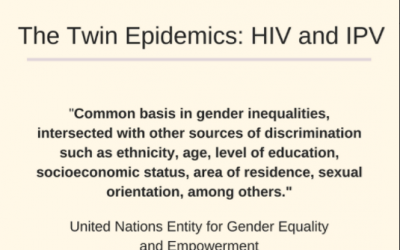 This factsheet raises awareness about the nexus of HIV and IPV, analyzes factors contributing to elevated risk for Asian American and Pacific Islander women and girls, and contextualizes cultural barriers. 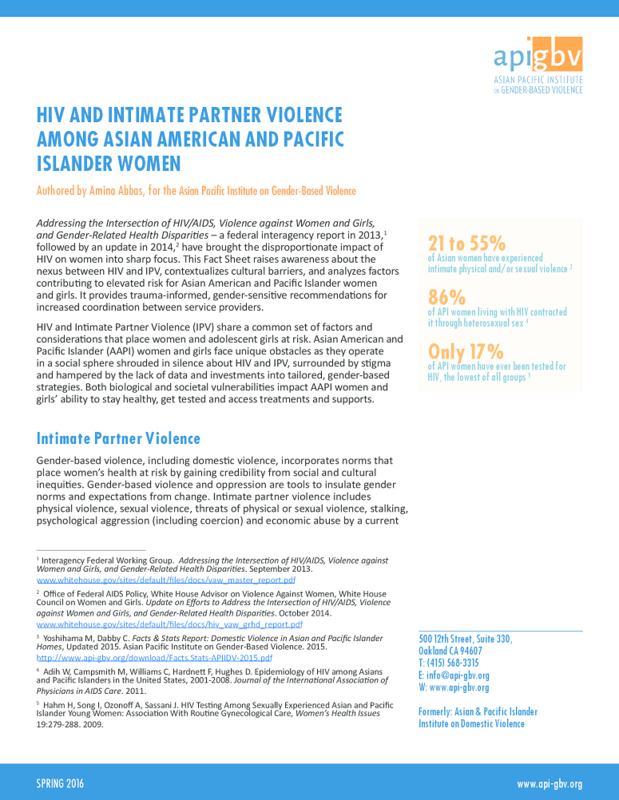 It offers recommendations to increase coordination between HIV and domestic violence service agencies for Asians and Pacific Islanders, and the need for trauma-informed, gender-sensitive interventions to mitigate the sociocultural and gendered harms abused women and girls in our communities face.